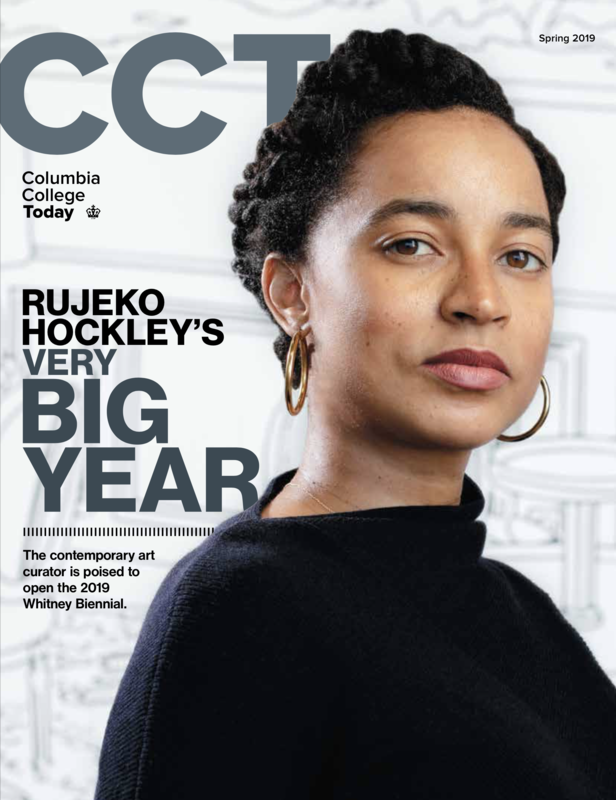 The Columbia College Alumni Association is a community that includes all Columbia College alumni as well as current students, and in April 2014, CCAA was pleased to introduce its new face. This logo is the outcome of a 14-month initiative that set out to redefine CCAA’s role, domain and membership in a way that would be welcoming, inspiring and purposeful. More than 50 alumni across several generations and with differing levels of engagement participated in the development of this logo, which represents a new spirit and era for CCAA. Working closely with Beardwood LLC and BBDO Worldwide, CCAA confirmed that its alumni are independent, intellectual, full of ideas (and opinions!) and determination, and that they are deeply proud of their connection to our great college and its remarkable cohort of more than 49,000 alumni. Our new brand, an expression of our people, connects us to the Columbia Lion, which was borne out of CCAA in 1910. The updated Lion exhibits important qualities of alumni — nobility, wisdom, thoughtfulness and confidence. Look for the face on our website, in emails, on social media, in Columbia College Today and at our events and programs. We Asked Alumni: What Lion Characteristics are embodied by Columbia College Alumni? "The new era is building on the strength of our community, represented by the powerful lion. By coming together to enhance the Columbia College experience both for students and alumni, we are bolstering the value of the Columbia College degree. We draw from the strength of the individuals in our community to create an expansive network globally, where no opportunity--and no stretch of the savanna--is left untapped." "As for my view, the great thing about the lion is the way its expression captures the breadth of our varied alumni base." With 49,355 alumni representing the most diverse school of the Ivy League in arguably the greatest city in the world, CCAA has entered a new era. With an aspiration to stay connected to 100 percent of our alumni, Dean James J. Valentini, alumni leaders, student leaders and staff have been working enthusiastically since 2013 to strengthen the student and alumni community and the experiences that make the community rich, warm and deeply united. In addition to creating more relevant programs, resources and benefits for College alumni, we have shifted our approach. Though CCAA has always been about its people, we only recently realized that we were not always presenting this in how we communicated or engaged alumni all in our efforts. Alumni told us we were formal, unclear and sometimes, even a little unfriendly. We realized that we needed to change our face so alumni would know how deeply they are valued as members of the community and as individuals who contribute uniquely to the our mission at large. The ideas that rose to the top about how to present CCAA in a renewed manner — one that would appeal to as many alumni as possible — centered on the ideas of people, relevance and inspiration. We are a collection of remarkable people. We are successful and busy individuals who want to connect in relevant ways. We want to be inspired by, connected to and backed by our people, a community of incredible achievers.